National Registration for the 2015-2016 Season is now open for Jr.FLL, FLL, and FTC! Pre-Registration for the 2015-2016 Season is now open for FRC! The 2014-15 Season is now complete! 9 Jr. FLL Expos ran from mid-December until mid-June. 33 FLL Qualifier competitions ran from November 22 thru December 2014. There were two State Championships: (Northern) January 17, 2015 in Elgin at Elgin Community College and (Central-Southern) January 24, 2015 in Champaign at the University of Illinois. 13 FTC League and Qualifier competitions ran from November 15 thru February 2015. The State Championship was Februrary 21, 2015 in Chicago at the Illinois Institute of Technology. FRC kick-off was January 3, 2015. There were two Regional competitions: March 19 - 21, 2015 in Peoria at Bradley University, and April 2 - 4, 2015 in Chicago at University of Illinois, Chicago. 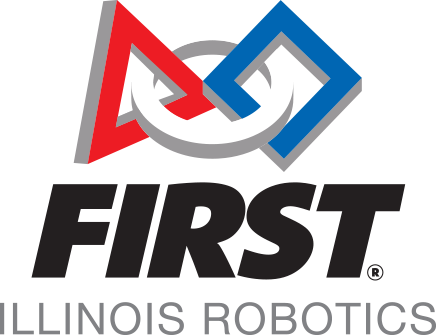 Click here to see the FIRST Illinois Robotics Season Timeline. Click here to see the FIRST Illinois Robotics Executive Director Blog. Click here to see the FIRST Illinois Robotics Newsletters.